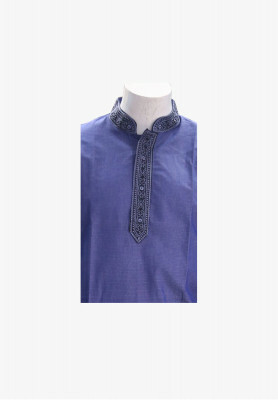 "China Cotton Panjabi with Stone and Karchupi Work". 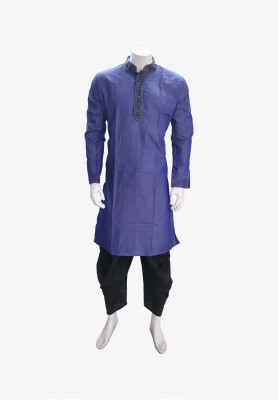 "Affordable Indian China cotton panjabi for men, with rich embroidery work on whole body. 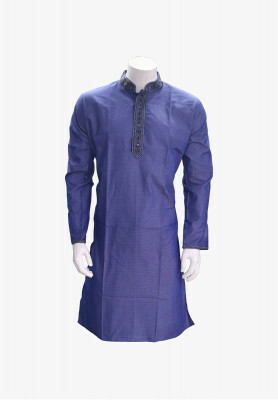 Comes with three colors, Ash, Maroon and Blue. Great for attending Holuds".